Situated in South Africa’s ecologically and culturally significant Eastern Cape Province, close to Port Elizabeth, the malaria-free reserve is known for its systematic, scientific rehabilitation and considered conservation programmes. 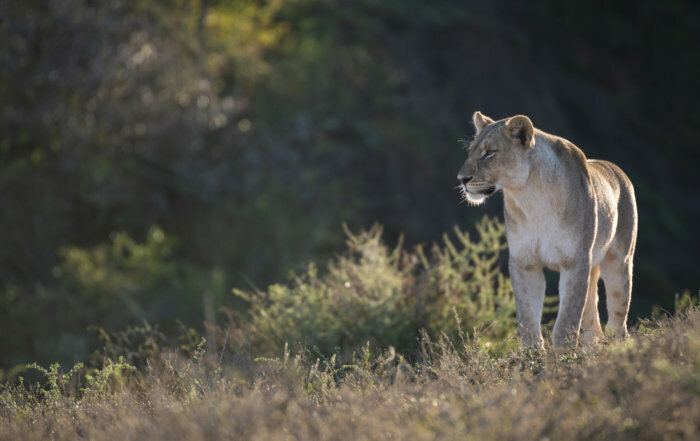 Over the past 25 years, these have seen ecological diversity restored on the reserve and the reintroduction of the big five and other indigenous animals. The upgrade at Eagles Crag has accentuated its reputation for exclusivity and luxury. The setting is tranquil, in a forest-covered valley floor at the base of the cliff from which the lodge takes its name. A new viewing deck incorporating a fire pit and two private dining pods elevates guests above the forest canopy, while individual dining pods allow couples to share intimate meals and uncompromised views. The spa facilities have been upgraded and new international brands, Babor and Elemis products introduced. 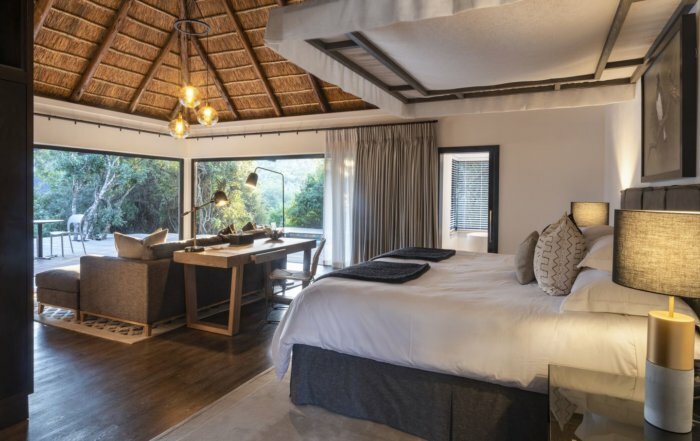 Riverdene Family Lodge has been almost entirely rebuilt. The nine spacious, rooms are ideal for multi-generational families. All rooms are interconnecting, allowing for family time during the day and privacy for adults after the children are in bed. 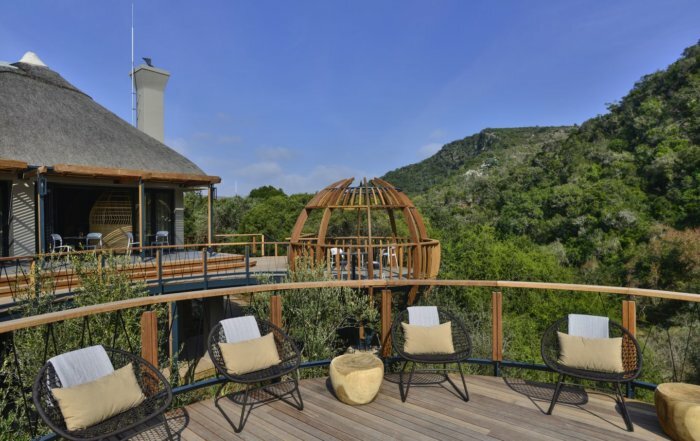 The family orientated design extends to the exterior where a fully supervised outdoor Kids Adventure Centre combines climbing towers, elevated walkways and ziplines, all of which was specially designed for Shamwari. There is also a toddlers’ play area, maze and a mini soccer field. 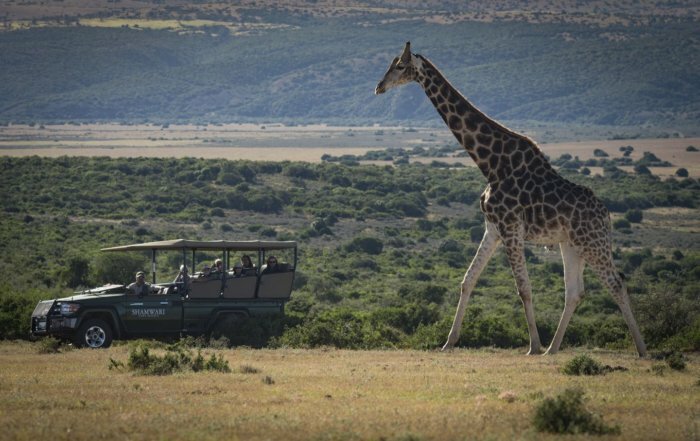 When not out on game drives or enjoying themselves in the play area there are plenty of organised activities for children including a Kids on Safari programme which includes tracking and animal behaviour, star gazing, visits to the Born Free Foundation and pizza evenings. For parents wanting a bit of quiet time, the pool, lounge and restaurant, looking out over a nearby waterhole, provide peaceful areas to relax. The next phase of the project includes renovating the historic manor house, Long Lee Manor and extensively re-building the contiguous accommodation to provide18 luxury suites. A new, flagship luxury tented camp is being built. Shamwari’s wildlife rehabilitation centre, considered one of the best and most successful in South Africa, is being expanded and guests will now be able to visit a purpose-built facility on the reserve, where animals are cared for and treated before being released back into the wild. This is in addition to the two big-cat sanctuaries, where, in partnership, with the Born Free Foundation, rescued African big cats are given a permanent home.